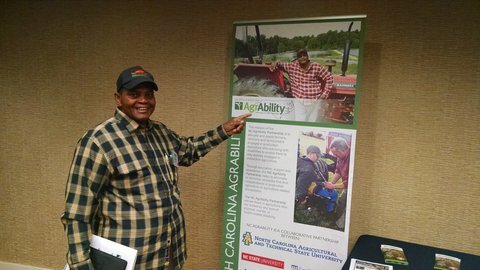 North Carolina AgrAbility Partnership was well-represented at the 2016 AgrAbility National Training Workshop with eight North Carolinians attending. 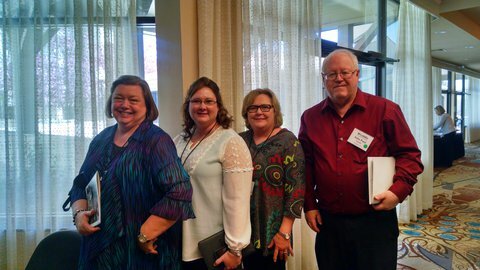 Shelby Kennerly, NC Assistive Technology Program, Jessica Wilburn, NC Agromedicine Institute, and John Paul Owens, NCAP, also completed the assessment training. Other attendees included Dr. Paula Faulkner, NC A&T State University, who participated in the 1890s panel discussion, and Barbara Davis, Disability Partners. North Carolina AgrAbility farmer Joe Thompson and his wife Geraldine received AgrAbility stipends to attend NTW. North Carolina AgrAbility Partnership visited the veterans medical facility at Salisbury, North Carolina. 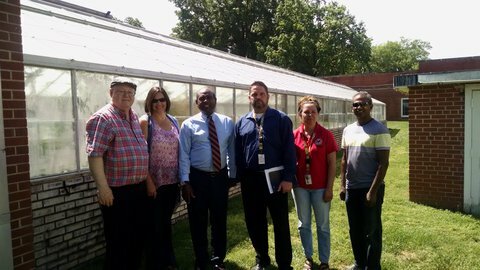 The Salisbury Veterans Administration contacted Tammy Koger to see if the NC AgrAbility and NC A&T State University could provide leadership to get their greenhouse "up and running." The greenhouse had not been used in more than seven years but could provide training and therapy to the veterans coming through the facility. The collaboration would include the North Carolina AgrAbility Partnership, including the NC Assistive Technology Program and NC A&T State University, and the NC Cooperative Extension Program.